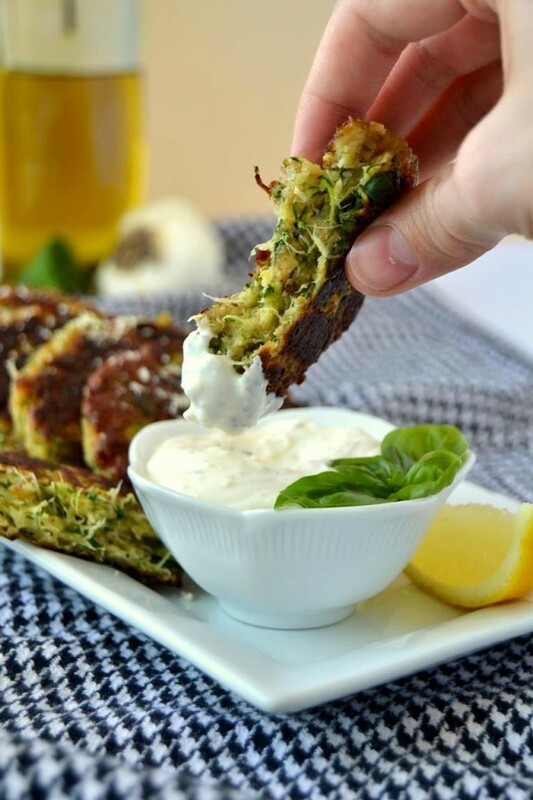 It’s zucchini season and this is hands down my favorite recipe involving these versatile veggies! 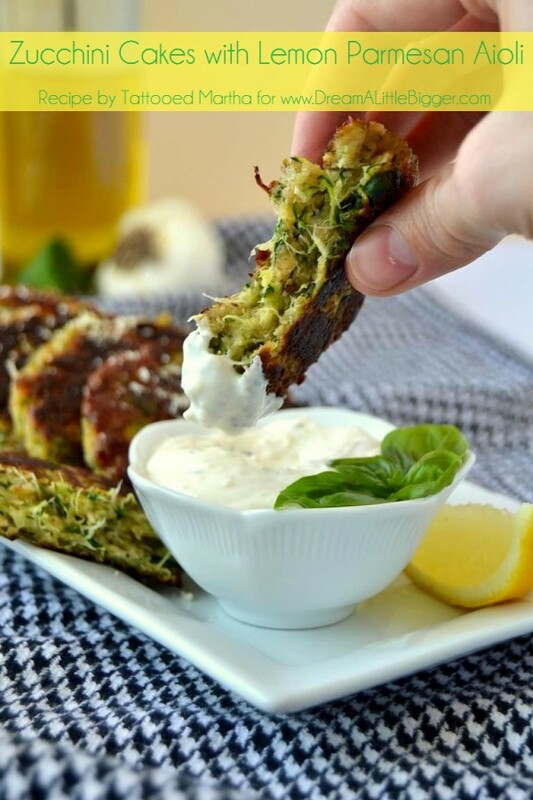 Not only is this a delicious way to use up a surplus of zucchini from the garden, but also a great way to sneak some vegetables into your family’s diet! Crisp and crunchy on the outside, gooey and cheesy on the inside! Serve them up as an appetizer, snack, or side dish to your dinner. Make your aioli first by combining all of the ingredients in a small bowl. 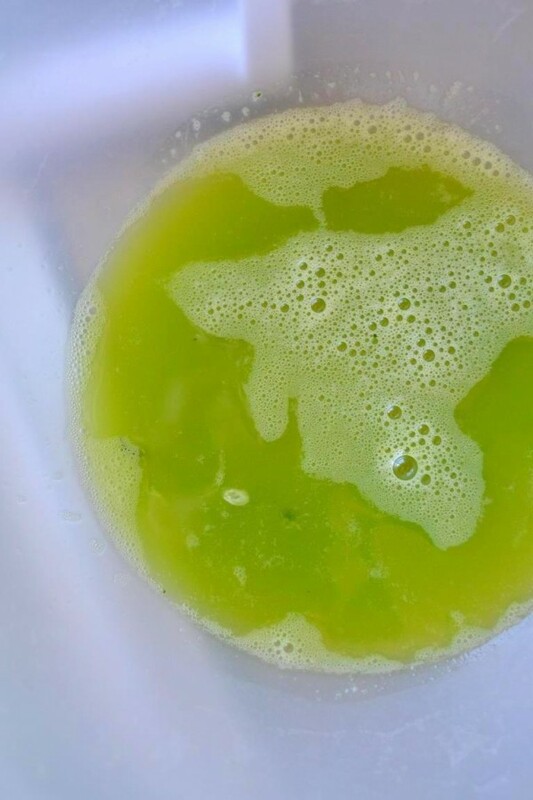 Stir until completely mixed, cover, and place in the refrigerator until ready to use. Place a fine mesh strainer over a bowl and finely grate zucchinis into strainer. 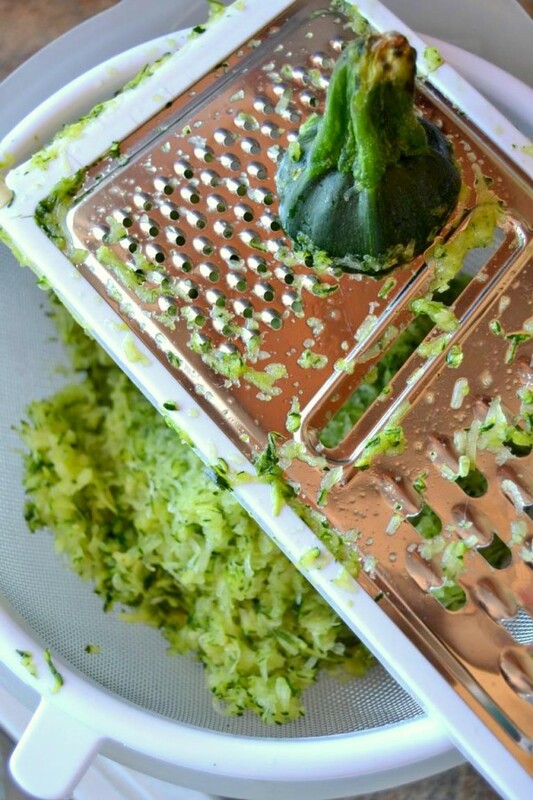 Press on grated zucchini to push out as much liquid as possible. 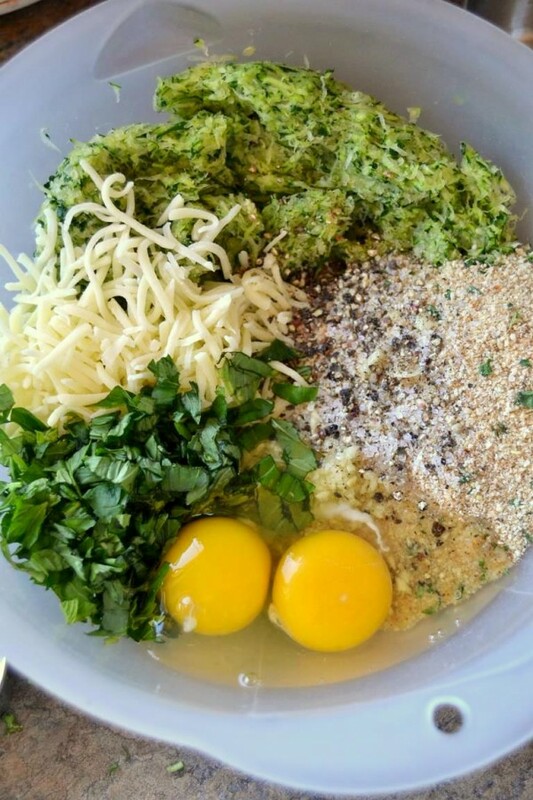 Scoop grated zucchini onto two or three layers of paper towels and roll it up. Hold over the bowl or sink and squeeze out all of the excess liquid. If you have any breaks in your paper towel, just layer one or two more over it and continue to wring out the zucchini. Pour out liquid in the bowl and wipe clean. 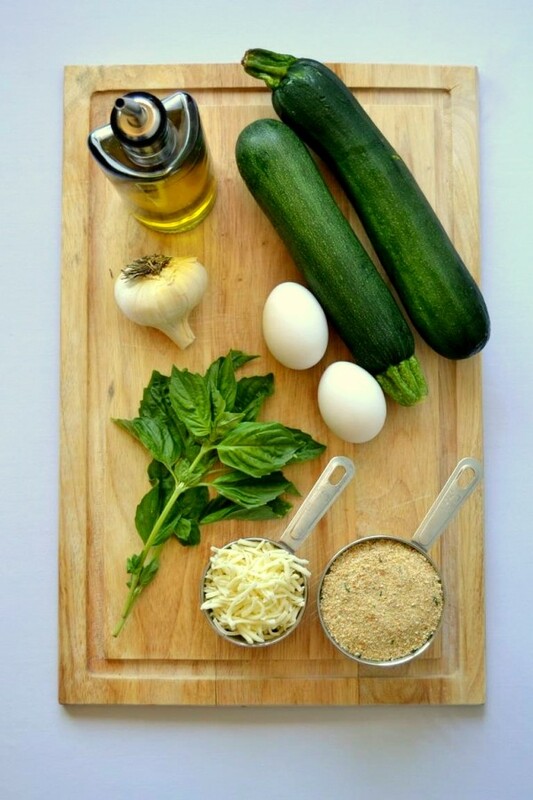 Transfer zucchini back into the bowl and add bread crumbs, mozzarella, chopped basil, eggs, garlic, salt, and pepper. Stir until all the ingredients are completely incorporated together. Heat olive oil in a large skillet over low-medium heat. 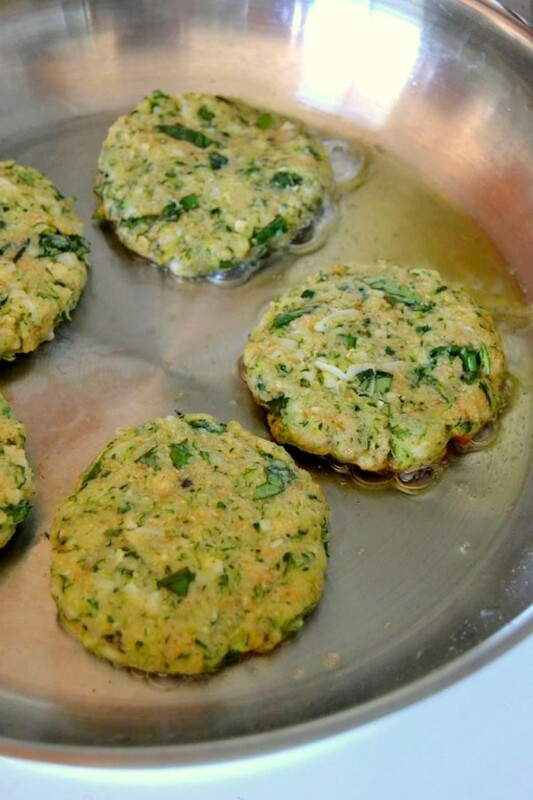 Using your hands, form zucchini mixture into patties. 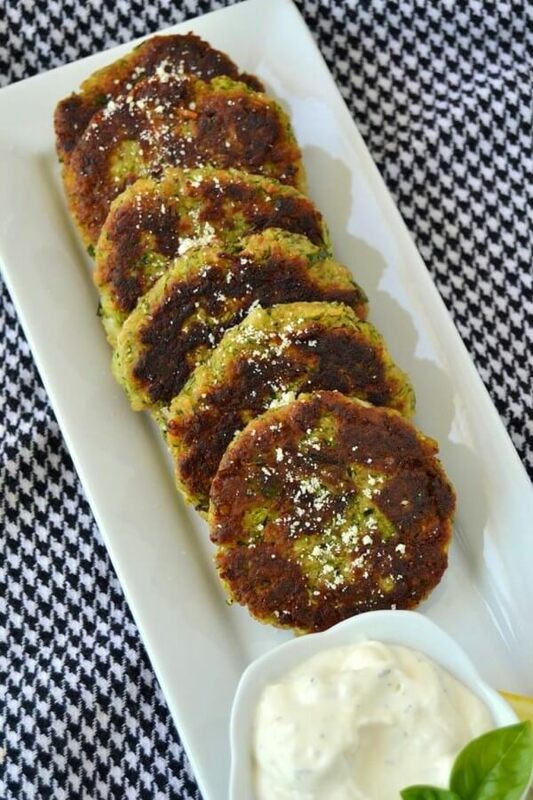 When skillet is hot, carefully add zucchini patties (you may have to do two batches so you don’t crowd them) and cook for 3-4 minutes on each side or until deep golden brown. Flip and cook another 3-4 minutes. 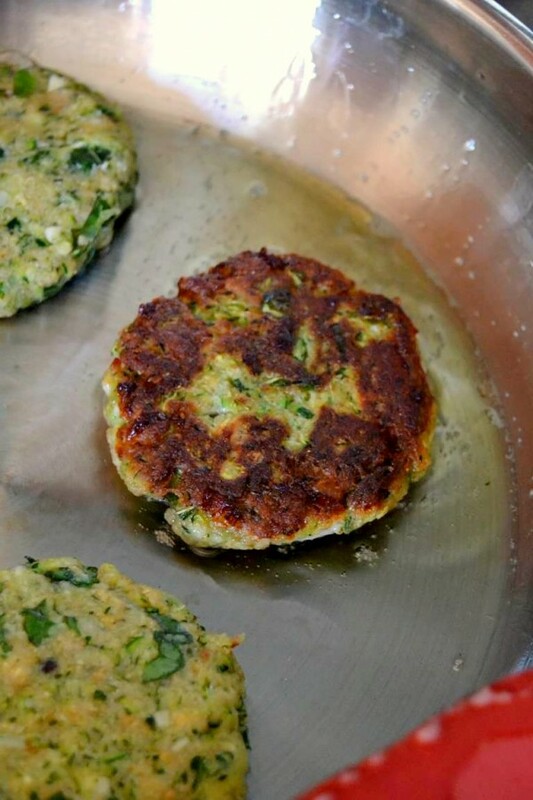 Transfer to a paper towel lined plate and repeat with any leftover zucchini patties. 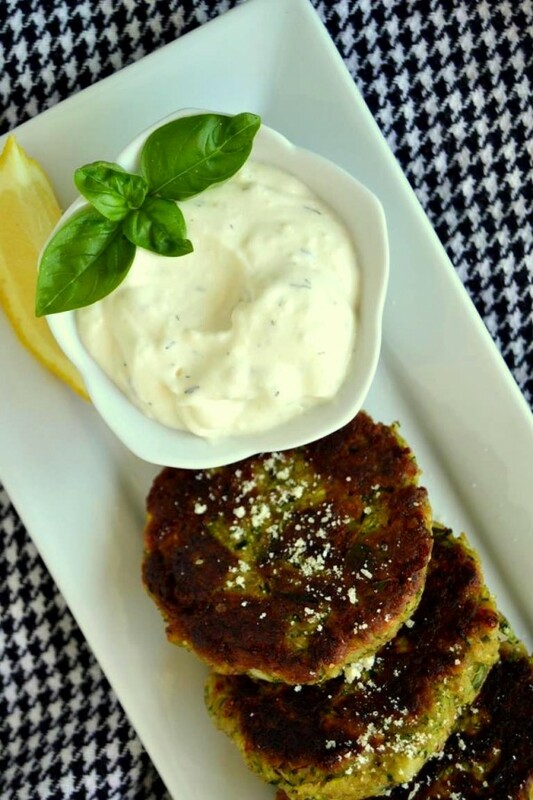 When you’re finished, serve them up with a side of the lemon parmesan aioli! For more recipes head over to Tattooed Martha! These photos make me want to have this for breakfast, and just reach right into my screen and have at it (when will THAT technology come into being)! 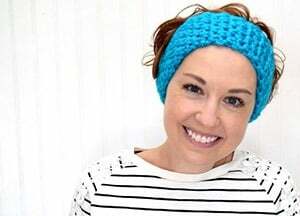 Absolutely fabulous, beautiful!! 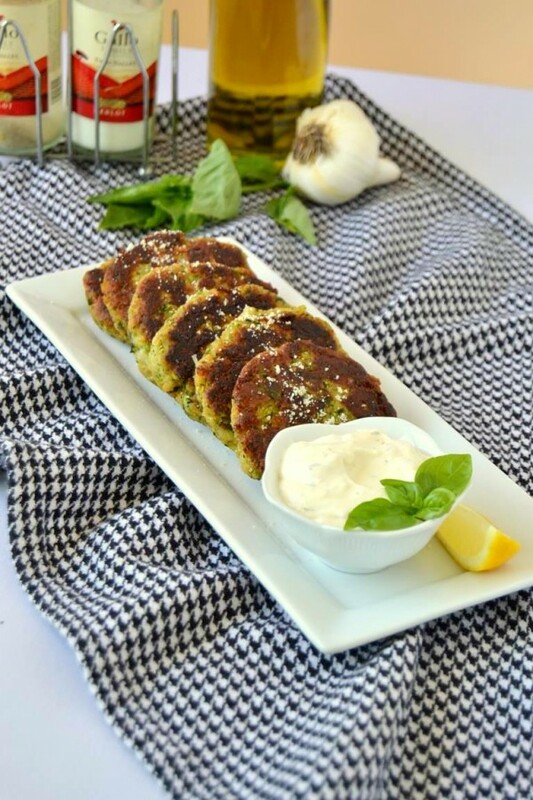 Your zucchini cakes looks wonderful!